Can a tradition be a tradition if a year is skipped? 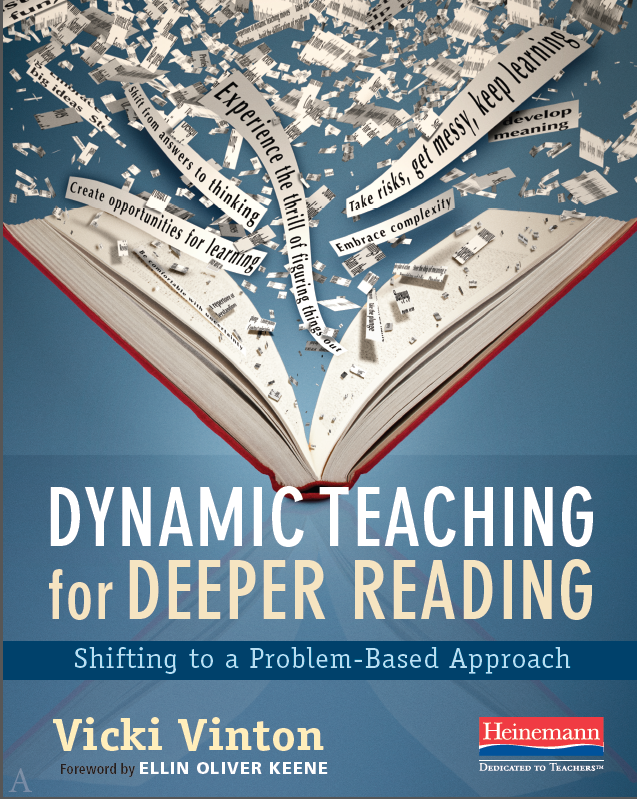 I’m hoping so, as it seems that, with the final revisions of Dynamic Teaching for Deeper Reading due at Heinemann last August, I missed celebrating teachers’ thinking last year as a way of also commemorating the start of another new school year. I’m back, though, this year to share a handful of the many thoughtful, wise, and inspiring comments left on the blog over the last twelve months. These comments, as well as scores of others, reassure me that children across our increasingly divided country, will find in their teacher someone who listens, who cares deeply about their emotional, intellectual and physical well-being, and is willing to take risks on their behalf—including being vulnerable, as true learners must be. As I’ve done before (as well as here, here, and here), I’ve set each reader’s comment next to an image that links back to the the post they were responding to, so you can have some context for their thoughts as well as see what others think. And if the author of the comment is also a blogger, I’ve embedded a link to their blog in their name; while with others, I’ve embedded their twitter handle, so you have the option to learn more about both their work and their thinking. So may we all go forth in this new school year thinking, learning, questioning and taking risks, just as we want our students to do. My last post shared some words and ideas from two of the sessions I attended at this year’s NCTE convention, both of which powerfully demonstrated the deep and insightful work students can do if they’re given enough space and time. Those students also benefited from teachers who trusted them enough to let go, which isn’t always easy. We can fear, for instance, that if we let go we’ll lose control of the room. We can fear that students won’t learn what they need to, which will reflect on us badly. Or we can fear that if we veer away from our lesson plans or scripts, students may start to ask us questions we don’t have the answers for, which will reveal perhaps our other deepest fear—that we don’t always know enough. To help us feel the power of those words, Louise invited us to look at some of the iconic photographs she’s been sharing with students, such as the one below, and to consider the same three questions that she asks students to ponder: What does it say? What does it mean? and What does it matter? Those simple questions compelled us to look closely, ‘reading’ the details of the picture as closely as we want students to read the details of a text, and ‘suspending conclusions’, as John Dewey advises in order to share the different things we noticed and consider what they might mean. Then Tomasen put us all in that ‘not always graceful position’ of learners by asking us to choose one of the images of faces she’d placed on each table and add to the drawing, which led many in the audience to say that the didn’t know how to draw. But draw we did, with most of adding a body and clothing to the head that seemed in keeping with the kind of person we imagined that face to be. This was possible, I believe, because we used the blog post drawings as a mentor text—a text that opened up what had been until then unimagined possibilities of how we could convey our thinking. 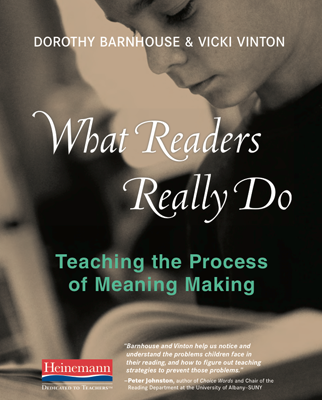 Terry then took this one step further when she shared what happened when she used a visual mentor texts to a room of high school students who were reading The Scarlet Letter, a text that many students I know have considered to be the bane of their existence. 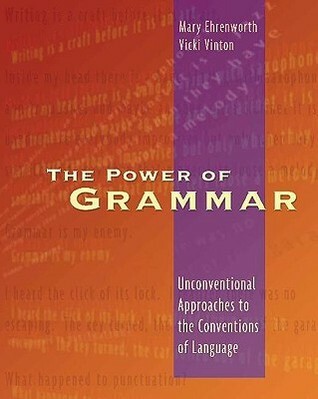 Having snagged a used class set of the book, Terry invited her students to mark up the text in any way they wanted, and rather than holding on to any of the practices we use to hold students accountable for reading—entrance slips, chapter summaries, pop quizzes—she gave them the option to not read sections provided they explained why in writing. To do that, I think, we have to trust not just our students but ourselves and hold on to the belief that it may, in fact, be that willingness to be unsure that makes us, not only learners, but professionals—unless, of course, it’s something in the water in New Hampshire. P.S. Click through to vote for To Make a Prairie, a finalist for this year’s Edublog Award. Voting ends on December 18, 2013. THANKS!